My first tattoo! 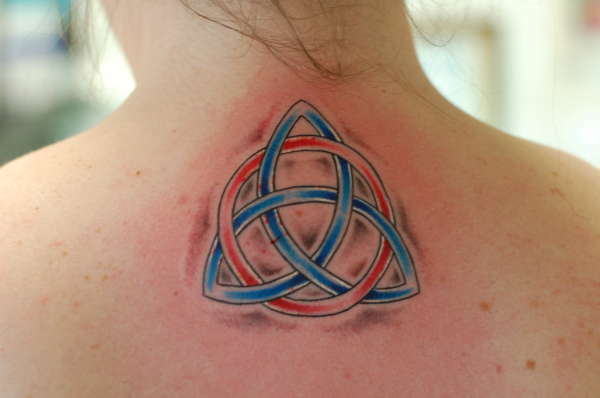 A triquetra on my back, below my neck and between my shoulder blades. This picture is while it was FRESH and has a little bleeding still. I'll update when it's all healed. Has a lot of personal meaning, and I love the finished product. Done by Pete at Ink Headz in Santa Maria, CA. I love the shading! Any copyright on that design? Nice tattoo. Post a pic when it heals!